It’s a matter of perspective; bobbing gently on top of the largest body of freshwater in Scotland and having the time to take in the expansive views along the length of Loch Ness, is food for the soul. 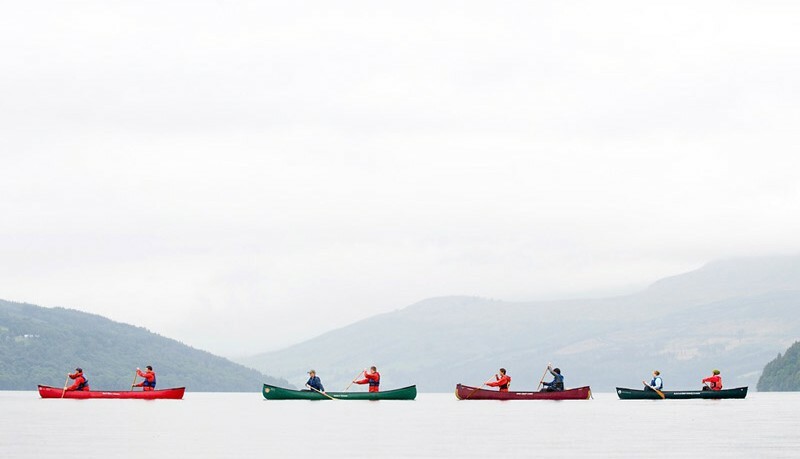 When your sturdy boat takes to the waters of the Great Glen Canoe Trail and you gradually get over the initial feeling of instability, you become immersed in the landscape and all other thoughts evaporate as concentration turns to the art of paddling. 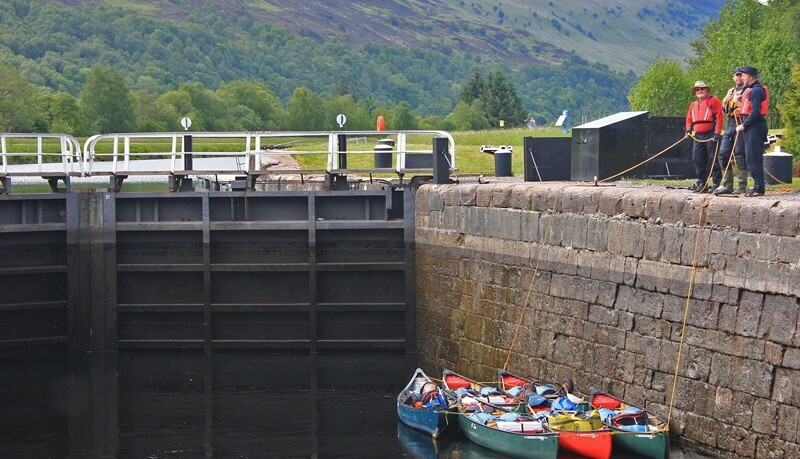 Moving through the Caledonian Canal and connecting lochs you are actually travelling on a journey right along the ancient 400 million year old, Great Glen Fault Line. There are many historical landmarks along the way starting with Neptune’s Staircase just below our put in point. Built in 1811 the Staircase, a series of 8 lock gates, is the longest in Britain and rises boats over 64 feet into the canal system. There are of course some locations on your guided journey through the Great Glen that have had a rather more turbulent history. 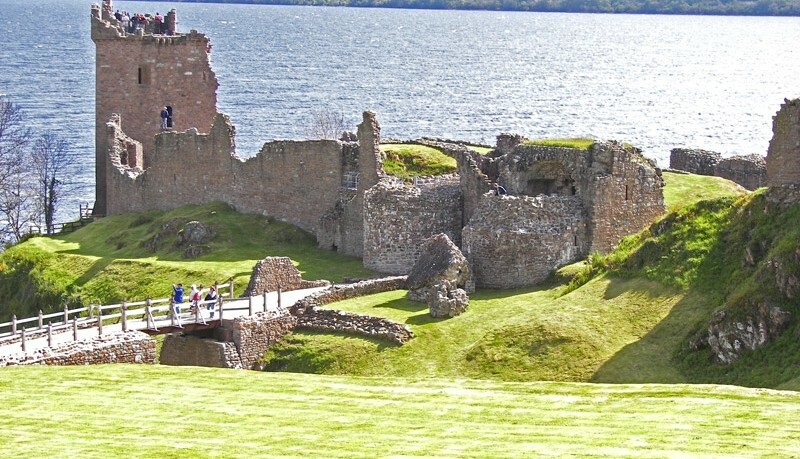 Urquhart Castle sits prominently overlooking Loch Ness and is an iconic landmark of medieval Scotland. Its location was the sight of many clan feuds and battles and although the castle is now in ruins, the vista from the top of Grant Tower towards the head of Loch Ness is one that evokes thoughts of the history that precedes the day and of course of what might lurk beneath the surface. there is always the tale of ‘The Well of Seven Heads’ but we’ll save that for our guides to tell, it’s a bit gruesome. Over the course of a 5 day trip there is a lot of time to reflect and there is a definite sense of achievement and fulfilment upon reaching the River Ness where you are picked up with meandering purpose and pulled seawards. 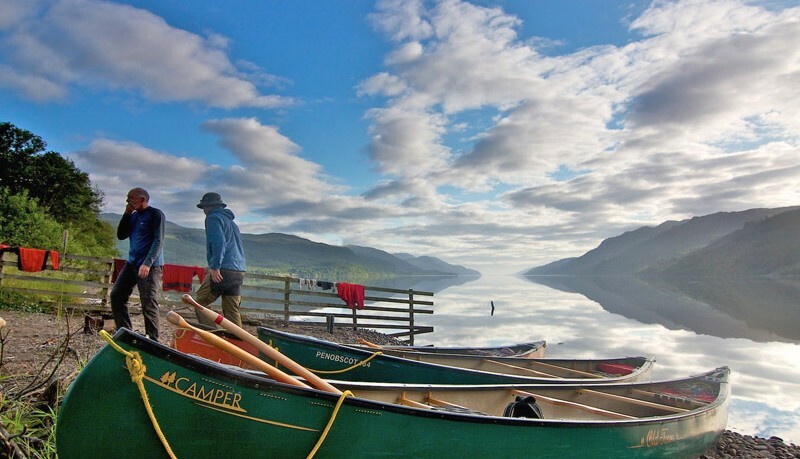 You can download a map of the Great Glen Canoe Trail here. 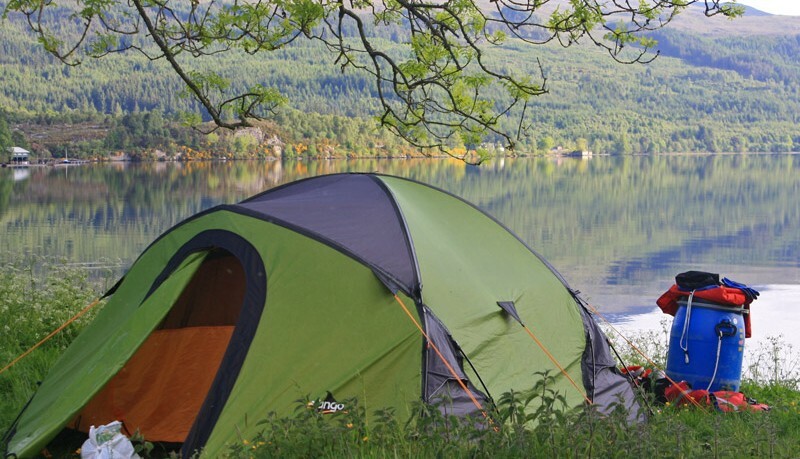 The beauty of camping in the Great Glen is that there are many special locations to pitch your tent for the night. You’re then in a position to sit back and look the length of the Great Glen, mulling over the paddle strokes that have taken you here and revelling in the journey you have to look forward to the coming day. With views like the image below it’s hard not to have a cursory glance in case the Loch Ness Monster make a rare appearance. Read A Beginner’s Guide to Wild Camping in Scotland and Wild Camping in Scotland: What NOT to do for some useful camping tips. 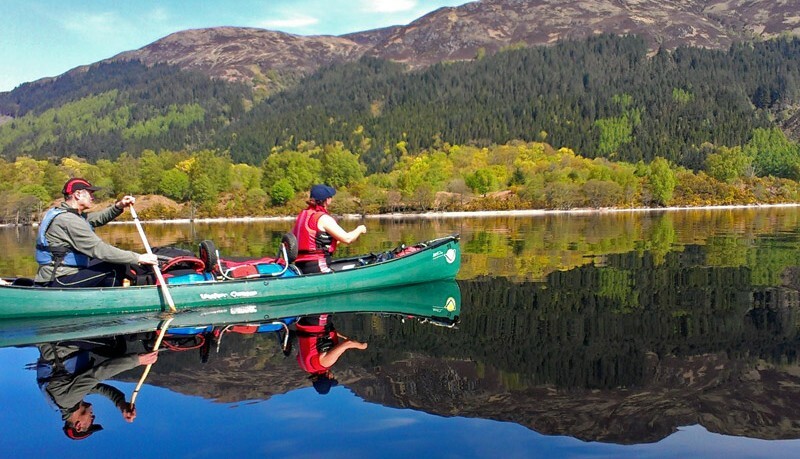 Click here for more information about Wilderness Scotland’s guided canoeing trips along the Great Glen Canoe Trail.